The boy who lived captured the hearts of millions and continues to do so. The series may be over but we can&apos;t let the magic go. 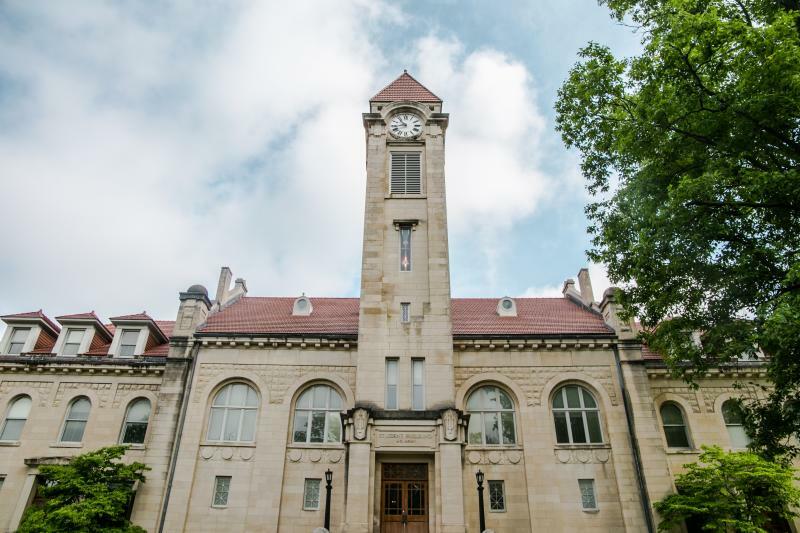 There have been plenty of lists about Harry Potter to come out but we think Bloomington is the place to experience a Potteresque wizarding world. The Old Crescent of Indiana University&apos;s Gothic architecture gives off epic Hogwarts vibes and there&apos;s even a Harry Potter Society on campus that hosts an incredible Yule Ball fit for the Tri-Wizard Champions. The magic of Harry Potter extends beyond the IU campus too; see for yourself. The Charles Deam Wilderness is by no means scary but it is made for adventure. There are 37.3 miles of trails to explore by foot or horseback. 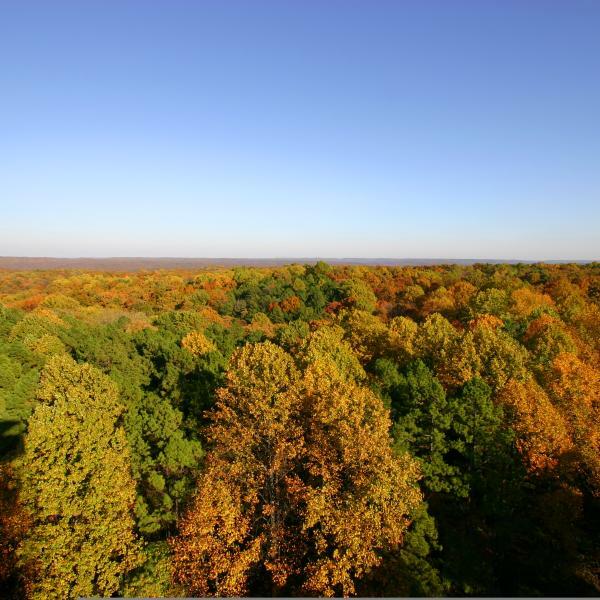 For a breathtaking view of the Indiana uplands, climb the Hickory Ridge Firetower. For the ultimate adventure, set up camp at one of the primitive campsites in the forest for a few days exploring the Hoosier wilderness. These trails are dog-friendly so you can bring your furry friends along; just make sure you have a leash and our trusty Bloomington travel water bowl. No centaur sightings have ever been reported, that we know of. No, there aren&apos;t any mermaids or giant squid (that we know of) but the misty mornings and evenings of Monroe Lake do display an uncanny resemblance to the Black Lake, minus surrounding mountains and all. The lake is open year-round and the perfect place for a paddle. There are plenty of places to rent a boat if you don&apos;t have your own. 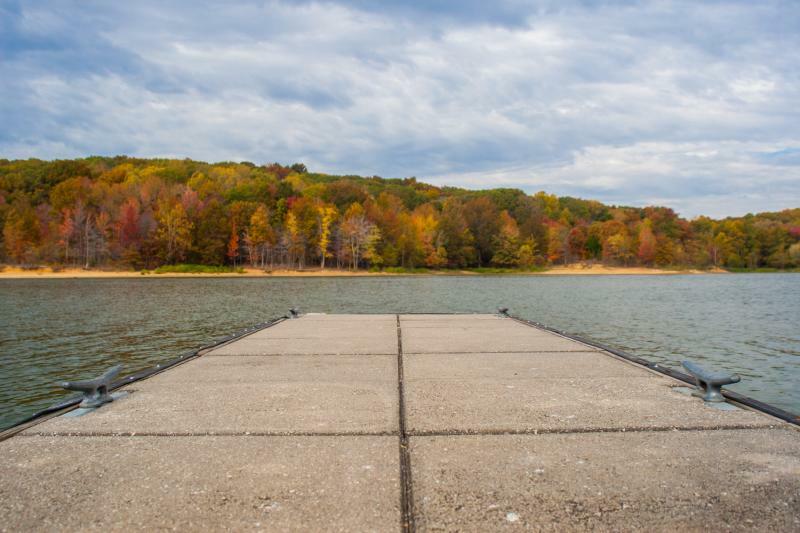 The spring, summer, and sometimes fall months are perfect swimming weather at Monroe Lake. Check out the beaches at Paynetown and Fairfax for a leisurely day of fun in the sun at the water&apos;s edge. 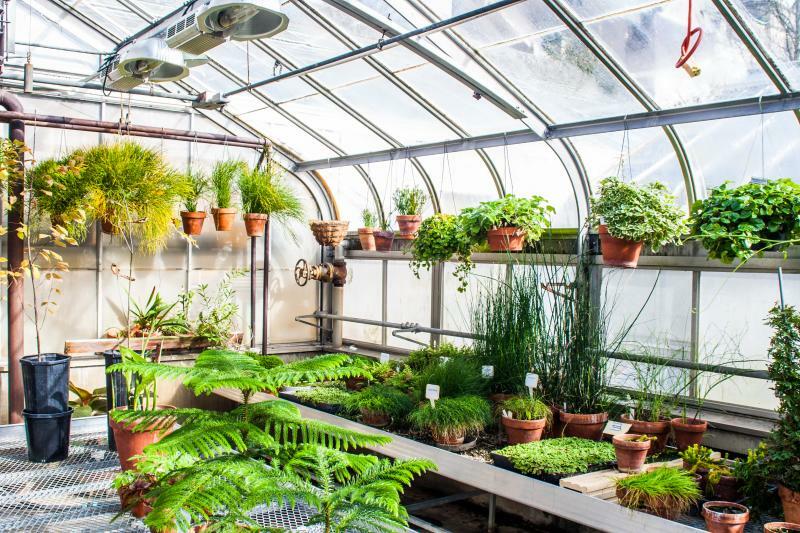 Opened in 1955, the Jordan Hall Greenhouse is one of those hidden gems on campus. Steamy temps year round make it a favorite place to warm up and fantasize about being on an island. It&apos;s a great place to take kids of all ages and explore the unique plant life from the desert to the tropics. You&apos;ll see orchids, banana plants, giant ferns but no screeching mandrakes. 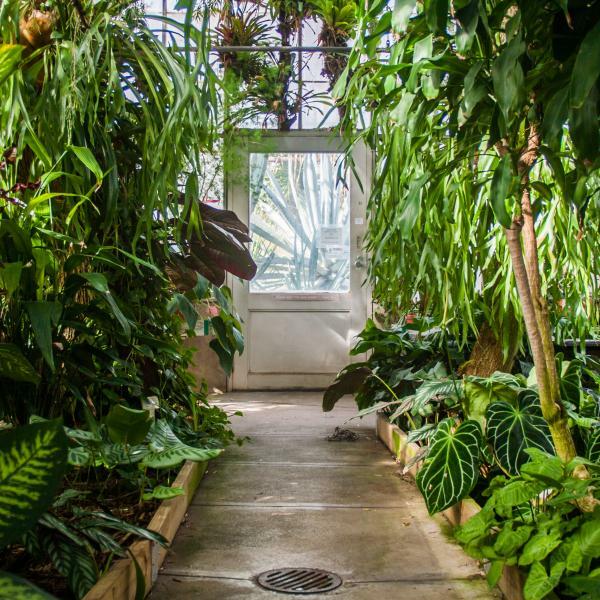 The greenhouse is free and open daily. 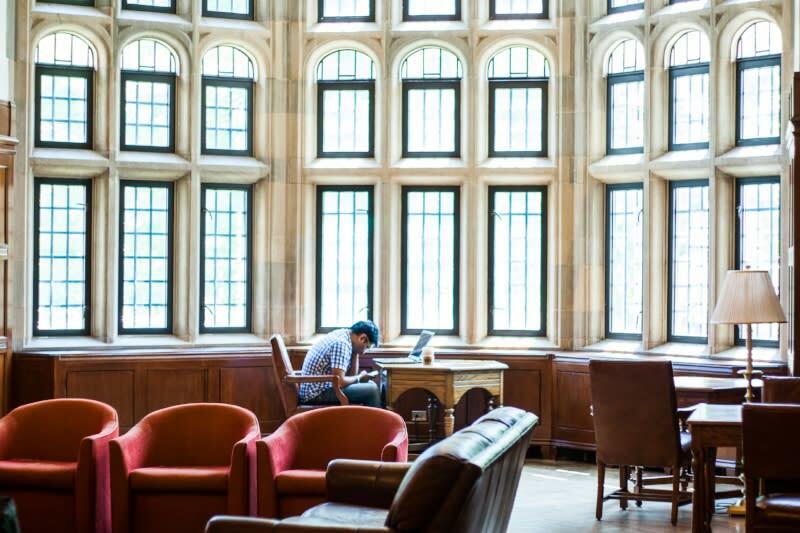 Located in the original portion of the Indiana Memorial Union, the South Lounge is one of the most popular study spots on campus. Nook up under a window to get some studying done or curl up by the fireplace with a good book. There aren&apos;t any fiery sconces or Professor Snape lurking but the huge windows and fireplaces give us the Hogwarts vibe. Time is a constant character throughout the films but even more so in HP3, The Prisoner of Azkaban. Hermoine, being the overachiever she is, she needs help making it to two classes at once. Professor McGonagall gives her a time-turner to allow her to travel back in time to keep up with all of her lessons. In order to help save Sirius, she lets Harry in on her secret and they use clock tower chiming to figure out where they are in the past. On campus, the stately Student Building in the Old Crescent keeps students and locals on time thanks to chiming every quarter hour. The massive tower can be spotted from Kirkwood Avenue through the Sample Gates and makes for a beautiful photo. The feasts in the Great Hall of Hogwarts are legendary. Roast beef with Yorkshire Pudding, mashed potatoes, and pumpkin pasties are guaranteed to make an appearance on the table as well as famous British desserts like treacle tarts and chocolate gateaus. 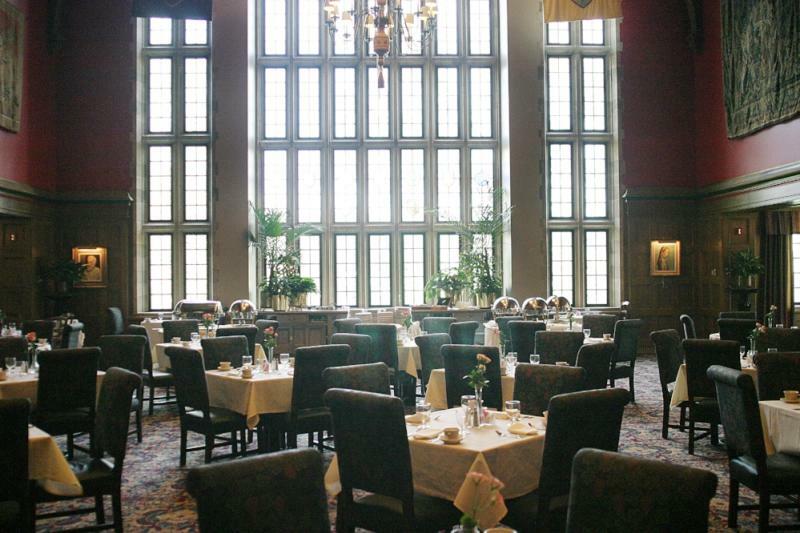 Equally legendary is The Tudor Room in the IU Memorial Union. Its rich oak paneled walls, bright stained glass windows, and colorful banners representing the different schools on campus are definitely reminiscent of the Great Hall. Hit the Sunday Brunch Buffet in the Tudor Room and you&apos;ll enjoy a meal fit for Hagrid. The buffet has several stations including made-to-order omelets and incredible desserts. Runner-up for the Great Hall is the dining hall in Indiana University&apos;s Collins Dorm. Several IU alums can attest to the dorm&apos;s love for Hogwarts celebrating with their very own Hogwarts Week. Hagrid&apos;s first Care of Magical Creatures class goes disastrously wrong when Buckbeak, a majestic Hippogriff, spooks over Draco Malfoy. Can you blame him? Although you won&apos;t find any hippogriffs in Bloomington, it is an ideal birding destination. 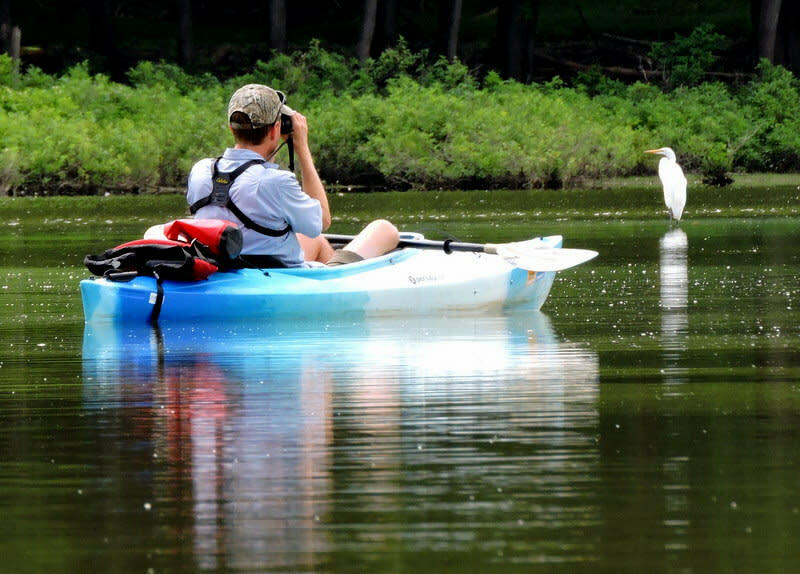 Sign up for a guided kayak tour with Indigo Birding Nature Tours and experience wildlife in their natural habitat. A copy of Fantastic Beasts & Where to Find Them, written by famed magizoologist Newt Scamander might come in handy if you spot a bowtruckle or a pixie. Indigo Birding tours move at a leisurely pace and are designed for adventurers of all levels. Enjoy the peaceful scenery while you search for native birds; you might actually see an owl or two if they&apos;re not too busy delivering letters of course. The Three Broomsticks is a popular wizarding pub in nearby Hogsmeade Village where warm, fizzy butterbeer is the beverage of choice. If you&apos;re visiting Indiana University, pop across the street to Lennie&apos;s Restaurant & Brewpub. 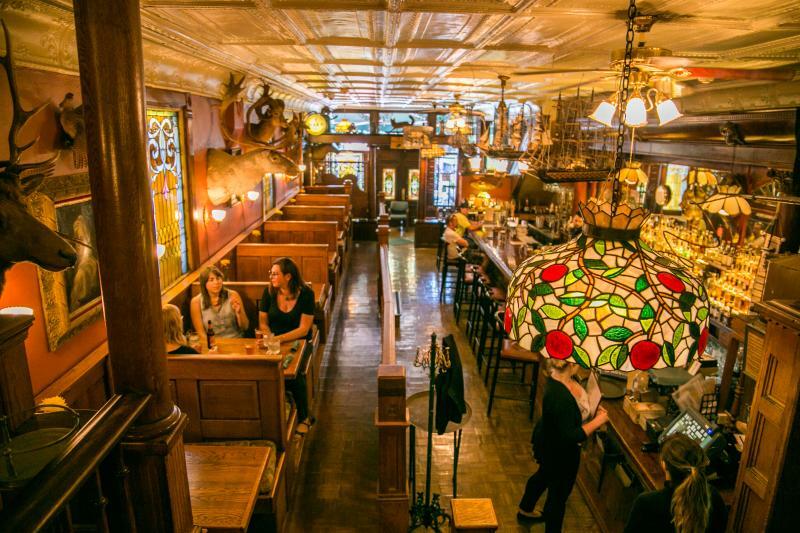 The pub and Bloomington Brewing Company are some of the oldest watering holes in town. 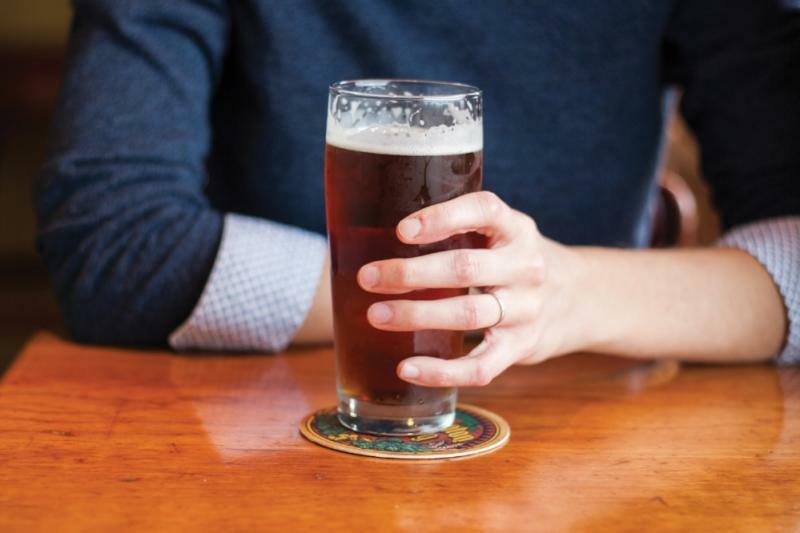 Try a handcrafted beer or house-made root beer for happy hour. Add a scoop of ice cream for a truly decadent float. 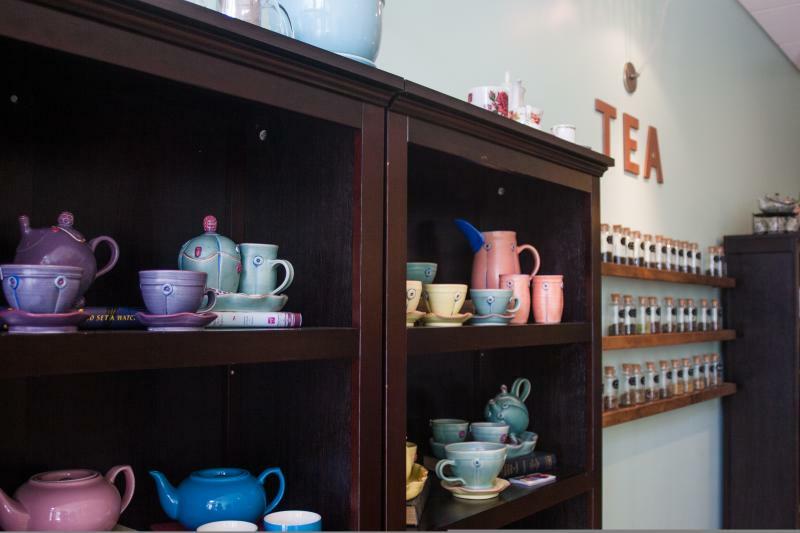 Tea time is as synonymous with British culture as basketball is in Hoosier country. From evil Delores Umbridge&apos;s sneaky veritaserum spiked tea to Professor Trelawney&apos;s divination class, you can spot cute kettles in several HP films. 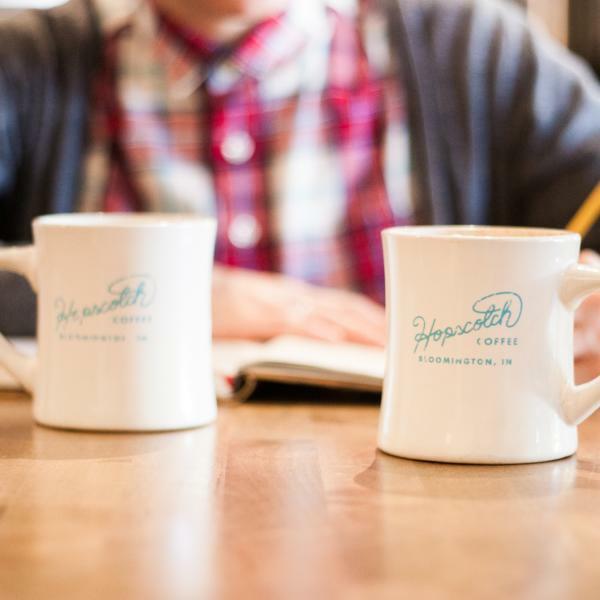 With students, faculty, and busy entrepreneurs all over town, Bloomington takes caffeine seriously. 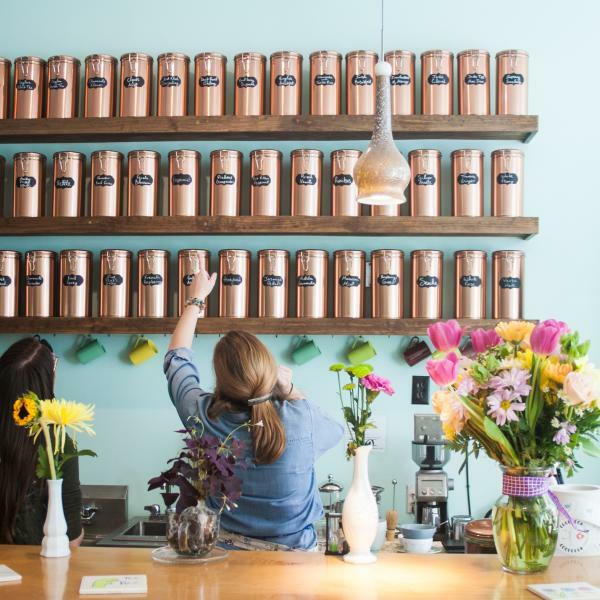 To get your tea fix, head to Cup & Kettle Tea Co. just off the square for unique loose-leaf blends. They have blends and kettles available for sale so you can recreate the Potter vibes at home. In The Sorcerer&apos;s Stone, Harry first visits the restricted section in search of information about Nicholas Flamel. Unfortunately, he was interrupted by Argus Filch, the grumpy Hogwarts caretaker and cat dad to Mrs. Norris. This scene did give viewers a good glimpse of the enormous stacks in the library and we couldn&apos;t help be reminded of the Lilly Library at Indiana University. The Lilly Library is home to 400,000 books (including a Gutenberg Bible), 100,000 pieces of sheet music, and over 7 million manuscripts. 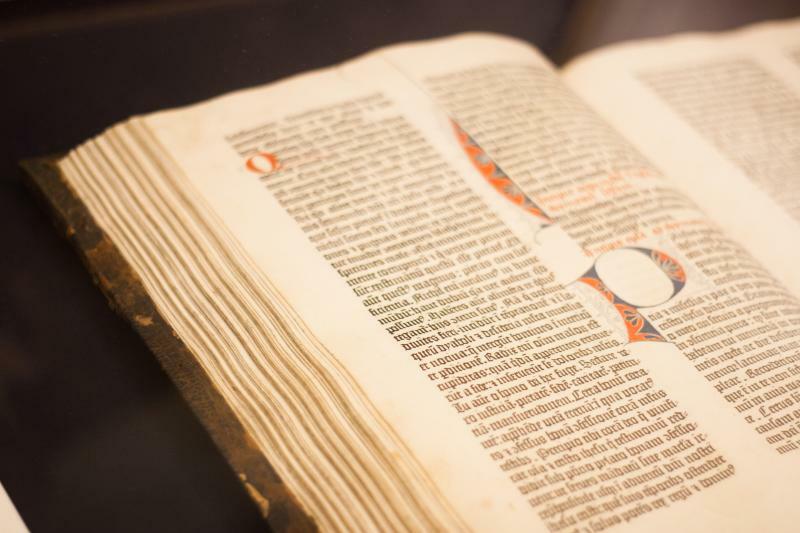 If you&apos;re a history or book nerd, check out their collection guide. If you see something you&apos;re interested in, schedule a visit and they&apos;ll bring your requested books up from the vault. Honeydukes in Hogsmeade is obviously popular with Hogwarts students. 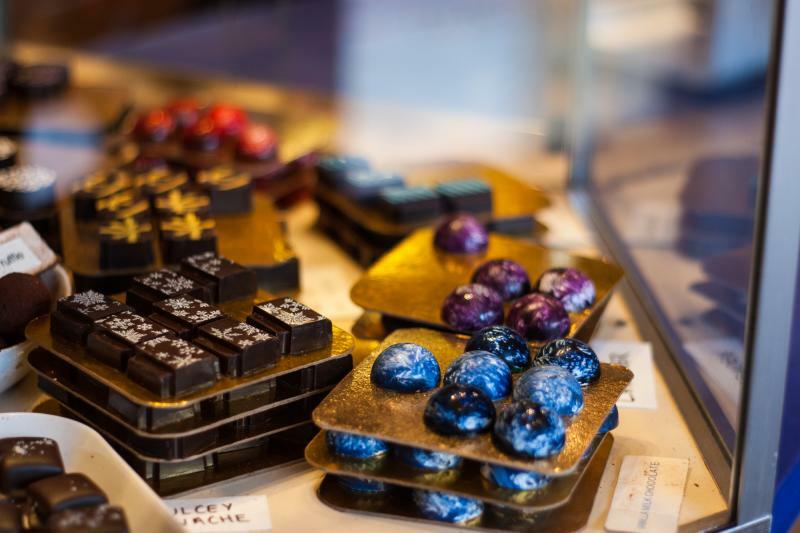 Quite possibly the most decadent chocolates in town, Blu Boy Chocolate should be on the list for anyone with a sweet tooth. They are famous for their handmade chocolates with unique flavors like ancho chile and blood orange but have an assortment of cookies, cakes, and monumental ice cream sundaes as well. Stock up in case you come across any dementors on your way back to campus. Hogwarts Teachers set out a variety of riddles and puzzles to keep Voldemort from finding the sorcerer&apos;s stone at the end of the first novel. 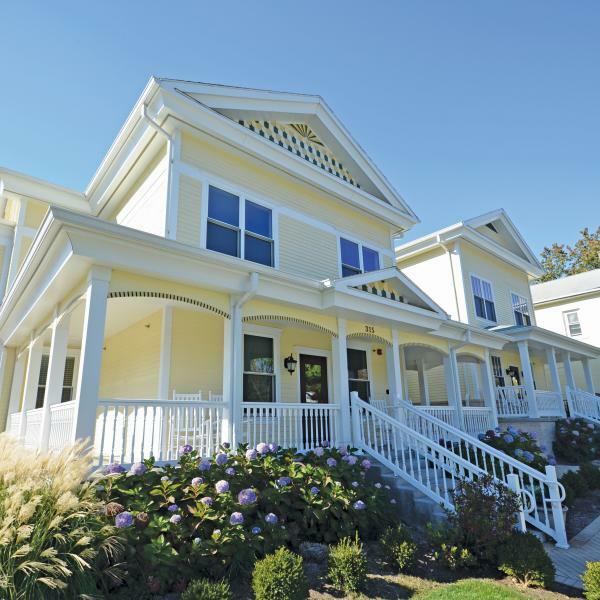 Try your luck at Bloomington&apos;s puzzle houses for a similar thrill with a lot lower consequence. 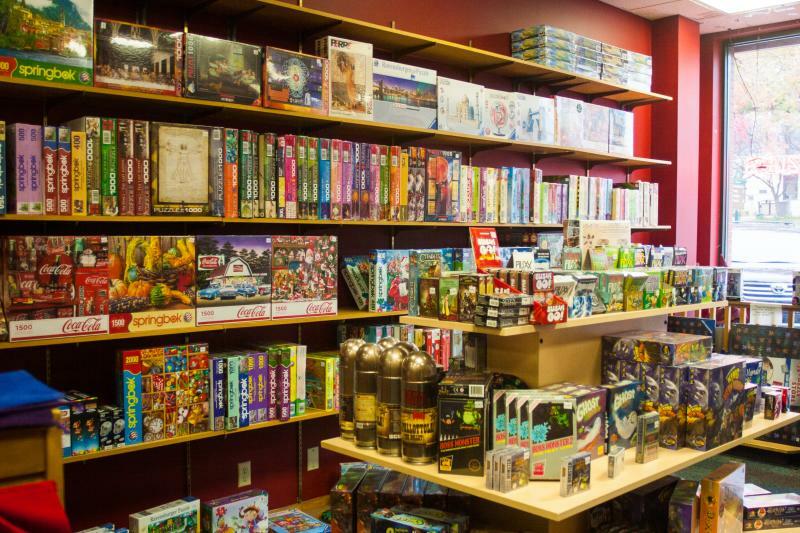 If you want to try some of the hardest puzzles in town or play a game of chess, check out the game collection at the Game Preserve downtown. Despite having no lines in any of the books or movies, Harry&apos;s companion Hedwig is one of the most beloved characters in the Harry Potter series. 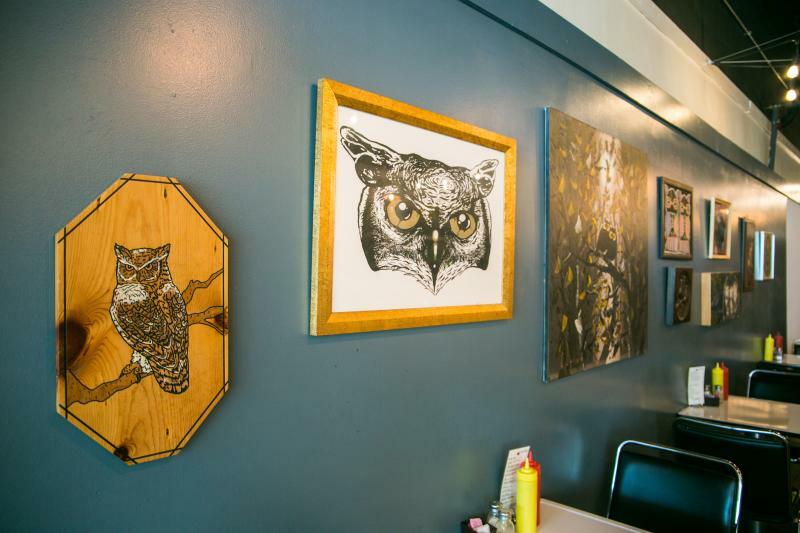 Head to The Owlery for creative vegetarian food, the coolest collection of owl art and one of the most delicious grilled cheeses in town. While the ice cream shop was never shown in the movies, Fortescue&apos;s Ice Cream Parlor is a popular hangout in books 1 & 3, and it is one of the shops you can visit in Universal&apos;s Diagon Alley. 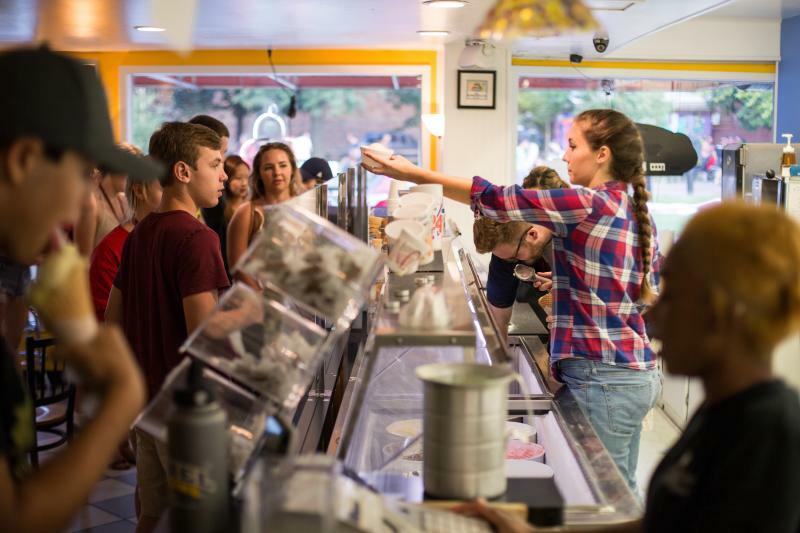 Like Hogwarts students, IU students flock to Hartzell&apos;s Ice Cream just a block from the Sample Gates for creative scoops all year long. Cup, cone, sundae, shake, malt - it doesn&apos;t matter what you order, their sweet creations are delicious. Maybe we can convince them to add a butterbeer flavor one day. In the first film, after Hagrid rescues Harry, they venture to The Leaky Cauldron to access Diagon Alley. This pub is a little like ground zero for magic folk with plenty of professors, Daily Prophet writers, and other interesting wizards hanging out in the pub sipping ale alongside a cup of pea soup. The Irish Lion has been a Bloomington tradition since the early 1980s but the building has been standing for over 100 years. Like the pea soup at the Leaky Cauldron, a cup of coddle is the perfect order at The Irish Lion. Just don&apos;t forget the Blarney Puffballs. From Harry&apos;s first time on the Quidditch pitch to the epic Quidditch World Cup match in the Goblet of Fire, Quidditch games are some of the most exciting scenes in the book and movie series. Thanks to Potter superfans, you can now experience Quidditch in the muggle world at universities and club teams across the country. 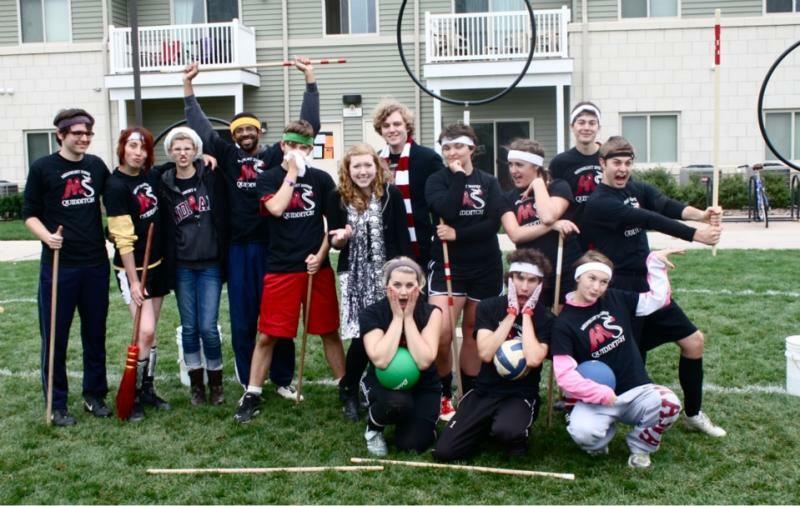 You can even catch IU Quidditch practicing in town throughout the year. Check out teams from all over the Midwest this fall at the Great Lakes Regional Championship in Bloomington starting October 27-28, 2018. Mark your calendars and get your brooms ready. Wait, is that a castle? 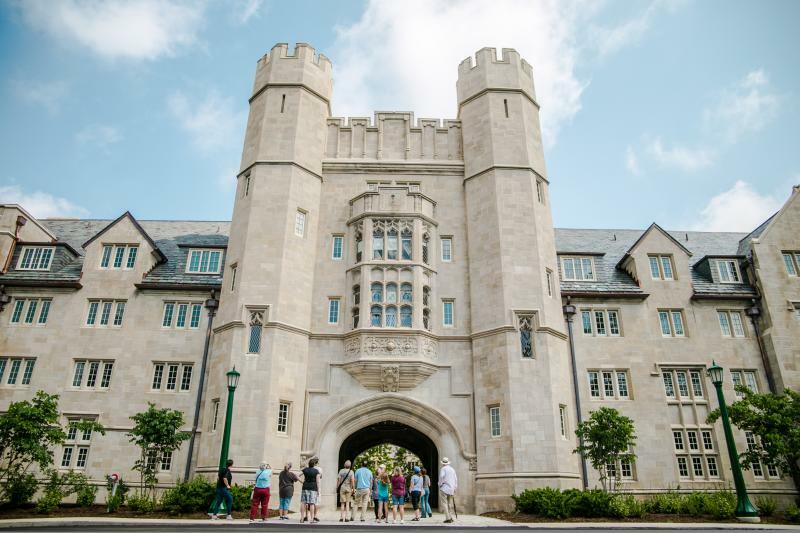 There&apos;s no way we&apos;ve thought of every parallel between Bloomington and Harry Potter. There could probably be a whole blog post on buildings in Bloomington that could be mistaken for Hogwarts. Take Memorial Hall for example; have you seen anything more castle-like? If you think there is something we missed please let us know in the comments and help us spread the word about how to experience the magic of Harry Potter in Bloomington. 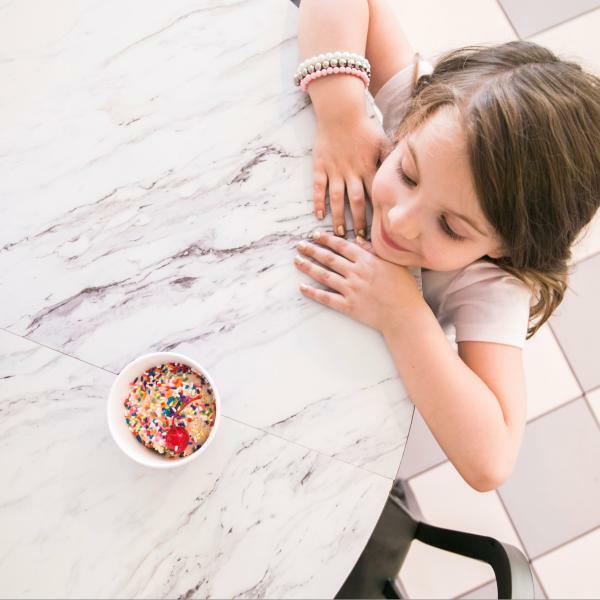 Get the scoop on Bloomington&apos;s best ice cream joints. These unique properties provide a great alternative to traditional hotel accommodations. 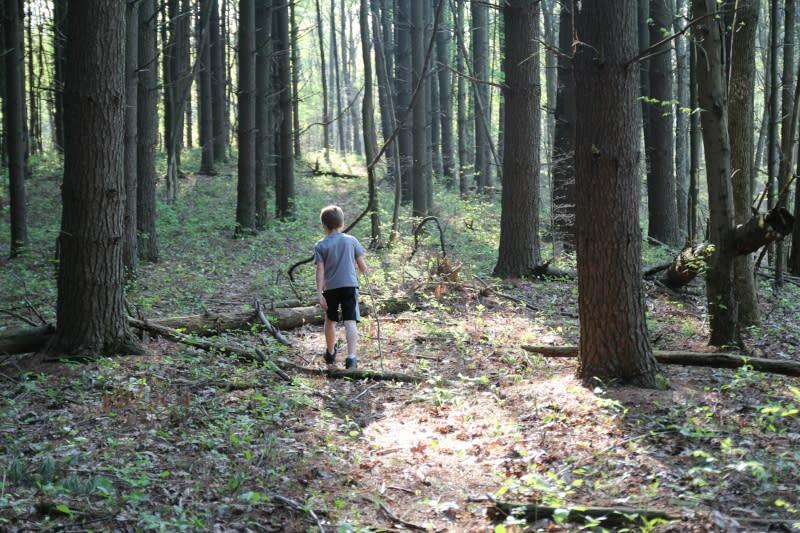 Hiking is one of the best things you can do in Monroe County. 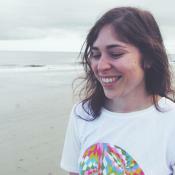 Here are some of our favorites off the beaten path. 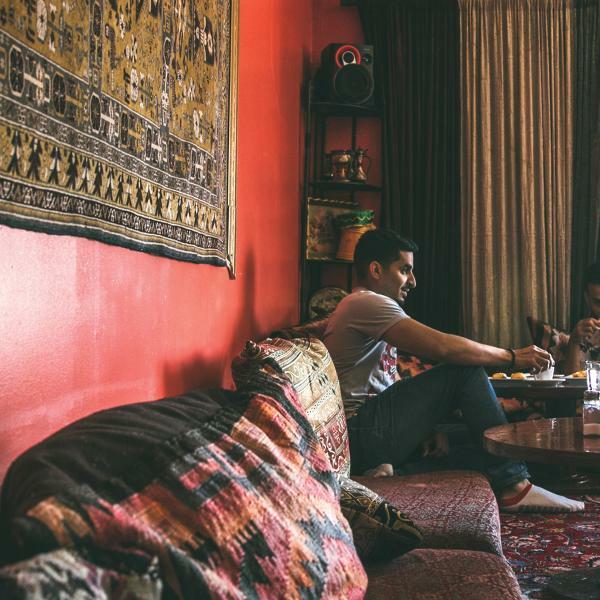 There are over 75 international restaurants in Bloomington.